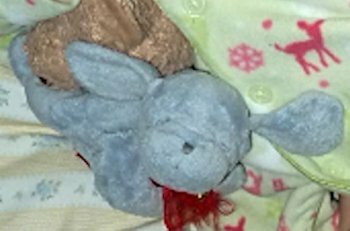 My daughter has slept with this stuffy for her entire life. This was her first toy. It was accidentally picked up by a charity and donated. She would love “Blue Doggums” back. It would mean the world if we could find Blue Doggums!